Established in 1981. ACHIEVEability has been creating Philadelphia low-income housing for low-income and homeless families in the hopes of setting them up to achieve financial independence. To remain a part of ACHIEVEability’s Family Self-Sufficiency Program and remain housed in theirPhiladelphia low-incoming housing, parents are required to maintain employment, and their incomes must meet all of their monthly expenses. Not only does ACHIEVEability help the families that have fallen victim to homelessness and strife, they are helping neighborhoods by building these Philadelphia low-income housing in abandoned and run-down buildings. They are headquartered at a new location on South 61st St. If ACHIEVEability inspires you, find out how to volunteer for them, and make a difference to the people and real estate in your community! Touch base with your local Philadelphia Property Management Firmfor more details. As the summer quickly approaches, Memorial Day Weekend is finally upon us and there is tons going on in Philadelphia! Here is a synopsis of the best of the best for this Philadelphia Memorial Day Weekend. There are some great restaurant specials and events are going on this Philadelphia Memorial Day Weekend. Morgan’s Pier, located on Columbus Boulevard, is a new beer garden that is opening its doors tonight! There are 20 all-domestic craft beers, signature drinks, and other specials that will be offered, including delicious eatery on their seasonal menu. You will love the greenery and “backyard” feel that they have successfully created. During Philadelphia Memorial Day Weekend, there are things to do for everyone. For the foreign movie lovers stop by Bistro La Minette tonight at 9:30 for their event, Movie Under the Stars. Pair a wonderful french film with amazing food, and a gorgeous atmosphere. There will be an all weekend party at Xfinity Live. You can enjoy drink specials, live music, and free parking and wonder why everyone else is sitting in bumper to bumper traffic while you are out raging in the best city! Want to spend this Philadelphia Memorial Day Weekend weekend learning and expanding your knowledge? There are some fabulous events that are happening relating to the fine arts! Come check out the various plays and musicals that are around this weekend. Philadelphia Theatre Company offers Reasons to be Pretty, and Friday is their opening night! The Arden Theatre will be presenting Robin Hood all weekend. Act II Playhouse is showing My Fair Lady. The Walnut Street Theatre is preforming The Buddy Holly Story all weekend as well. This Philadelphia Memorial Day Weekend the Penn Museum will feature Maya 2012: Lords of Time. It is an extraordinary exhibit and you will certainly leave with a new understanding of the superstition and the culture! Another exhibit worth of visiting isAll Together Now at the Moore College of Art & Design. This exhibit is free and open to the public tonight from 5:30-8:30. Philadelphia Memorial Day Weekend really culminates this Monday! There are tons of events including the Barnes Foundation Memorial Day Weekend Round-The-Clock Activities, the Devon Horse Show, Memorial Day at the Academy of Natural Sciences, a Celebration at the National Constitution Center, and more. If you’re big into fireworks, this is the Philadelphia Memorial Day Weekend Firework list. 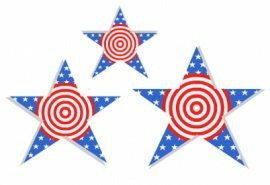 Friday night, there are fireworks at 9:30 pm in Newhope, Pa. It should be a great show! This Saturday is the opening day for the Longwood Gardens Fireworks & Fountains. There are choices for dining at different venues on the grounds and the shows will take place mostly between 7:15 and 9:15. They will be taking place all weekend so do not miss out!! From all of us here at JG Real Estate, we wish you a wondering Philadelphia Memorial Day Weekend! 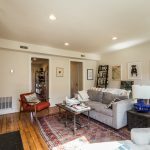 Looking to Buy in Philadelphia? Now’s the Time! For Those Want to Buy in Philadelphia, Mortgage Rates Are Low! 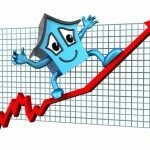 Amy Fontinelle, a writer for Philly.com, wrote an article abut the cost of home loans being, again, at record lows. She proclaims that this “is great news if you’re beginning a housing search,” especially if you’re looking to buy in Philadelphia. For those of you who are into statistics, an average fixed-mortgage that is over a 30-year span will cost slightly above 4%. Right now, mortgage rates are at an all-time low, and renting prices are increased. If you buy in Philadelphia, do your research & find low mortgage rates, you will definitely be making a great deal! If the question you’re asking is whether or not now is the time to buy in Philadelphia, the answer simply, is YES! After the decline in the economy over the last 10 years, auctions of Philadelphia Real Estate have been occurring more frequently, with a steady rise in foreclosures, etc. I just came across an article describing a couple who is listing their New Jersey million-dollar mansion for sale at an absolute auction. I wanted to distinguish between the different types of auctions you could encounter when searching through Philadelphia real estate. 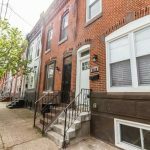 For those who are looking to put their Philadelphia real estate on the market, it is important that you know about all of the options. If you are going the auction route, there are a few different options you have: absolute auction, minimum-bid auction, reserve auctions, and foreclosures. When listing your Philadelphia real estate, you can have an absolute auction. Simply put, this is an auction where the property sells to the highest bidder, no matter what the price is. With this format auction, sale is guaranteed, so there is a heightened sense of excitement and interest in the property, which is beneficial to the seller. Your property will most likely get the most attention than in any other format of auction. In a minimum-bid auction, there is a minimum listing price set for Philadelphia real estate, and bids are accepted that are above that published price. This can limit interest in sales, because buyers may not want to spend as much as is being asked for, and it limits the negotiation proceedings that you would incur in a normal sale. That being said, there is also a chance that there will be high anticipation from buyers, and that could be greatly beneficial to the seller. Reserve auctions are another way to sell your Philadelphia real estate. In this scenario, there is no minimum price recorded, and the seller has a specified amount of time to reject or accept the highest bid that he/she has received. In this type of auction, the seller is amounted the most protection, and are not obligated to make a sale at any price if they are not comfortable with it. This may be a deterrent to prospective buyers, as there is no certainty they will walk away with property. Foreclosures, while they are considered to be an auction, are not voluntarily done by the seller of the property. In Philadelphia real estate, when an owner has defaulted on a loan, etc., there are legal proceedings that force a property to be sold. This is advertised and listed to the general public and a date and time is set for the auction to take place. This type of auction can be extremely detrimental and is least likely to get the market price for the property. Regardless of the type of auction you are going through as an owner of Philadelphia Real Estate, please make sure you consult philadelphia property management professionals (brokers, real estate agents, lawyers, etc.) to help make sure you are making the best personal decision! Philadelphia Curb Appeal – What Is It and How Can You Improve Yours? Often the phrase “curb appeal” is discussed, but less often it is defined. Simply put, Philadelphia curb appeal is how your house looks from the exterior. This would include everything from the actual facade to the gardening, paint job and color choice, etc. The easiest way for one to envisage this is to imagine pulling into a friends driveway and thinking about the impression they get of their house – this isPhiladelphia curb appeal. There are some very simple ways to improve your Philadelphia curb appeal. Here are some ideas to help you make your home more attractive in less than a day. Sweep outside – get rid of any litter that may be around, dispose of any cigarette butts, and remove any twigs or fallen leaves. The cleaner it looks, the more appealing it is to the eye. Replace old hardware – in terms of Philadelphia curb appeal, this is probably one of the most inexpensive things you can do. Purchase some new, modern hardware pieces to spruce up the outside of your house and draw attention to your place. Touch up the paint – nothing’s worse than chipping paint or the wrong color palette. Get in there and touch up places that have been stained or experienced some wear and tear. Clean your windows – wipe them down with some Windex and a paper towel and be shocked at what a difference it’ll make in your Philadelphia curb appeal. Add an outdoor lighting fixture – whether it be for your home, apartment, condo, etc. you need to make your Philadelphia curb appeal accessible in the evening. Adding a string of lights or an outdoor lamp can do wonders for your property. If you have any ideas to help spruce up one’s Philadelphia curb appeal, please leave us a comment! What is a Philadelphia Cooperative? I never knew what exactly a Philadelphia cooperative was – was it just people cooperating with another to form a business? What is the benefit to a cooperative versus a condominium? What would be the reason for one becoming involved in a co-op? I went to find out more about these topics, in the hopes that I could bring more awareness to the concept of a Philadelphia cooperative! WHAT IS A PHILADELPHIA COOPERATIVE AND HOW DOES IT DIFFER FROM OTHER FORMS OF REAL ESTATE? A Philadelphia cooperative is an entity that provides products or services and exists to benefit its members, who are also its owners. Member-owners invest in shares of the business, and all profit (after bills and expenses are paid) are then divided among them; shares are accrued depending on the size of your living space, interests, etc. While both developments have common interests, a condominium differs from a Philadelphia cooperative in that, with a condo, you legally own your unit (deed to property), a percentage of the shared space, and you pay your own taxes. Cooperatives have existed for centuries; societies shared their assets and practices to help improve the group’s chance of survival. Co-ops are based on principles that most of us have learned in elementary school: honesty, responsibility, equality, etc. An easy way to think about this is by comparing it to buying shares of stock in a company. According to Go CoOp, there are seven principles that serve as guidelines for the Philadelphia cooperative structure. They include voluntary membership that is open, a system of democratic control, concern for community, economic participation, autonomy & independence, education & training accessibility, and cooperation from the members of the Philadelphia cooperative. Cooperatives are not motivated by monetary profit, but to serve its members needs. Producer-Owned: This type of Philadelphia cooperative is most common in agriculture, and are owner by producers of such agriculture who want to work together to improve performance. Worker-Owned: These cooperatives are owned and democratically governed by their employees. Purchasing/Share Services: Usually owned by smaller businesses who join together to enhance their purchasing power. Hybrid: A hybrid type of Philadelphia cooperative that allows for consumers and producers to come together. There are some definite benefits to buying into a Philadelphia cooperative. There is a sense of community with a cooperative, there is a democratic system set in place, and you will have relationships with all of your other member-owners. Everyone usually has an equal say in the happenings, and usually the communities are smaller than they would be in the case of a condominium. Co-ops tend to be more exclusive, where potential owners need to be voted into the building – the pro here being that you can pick your neighbors! Please feel free to leave us comments and/or questions regarding Philadelphia cooperatives!